The Frank R. Kleffner Lifetime Clinical Career Award honors an individual's exemplary contributions to clinical science and practice over a period of 20 years or more. Joseph Duffy is honored for more than 40 years of service as a clinical practitioner, researcher, and educator. His clinical practice and research have transformed accuracy for clinical diagnoses of acquired, degenerative and functional speech and language disorders. His seminal textbook, "Motor Speech Disorders," has become a cornerstone for clinical training programs in teaching generations of speech-language pathologists differential diagnosis of the dysarthrias and apraxia of speech. Serving since 1983 at the Mayo Clinic and Mayo Medical School as a consultant and professor of speech-language pathology in the department of neurology, Duffy provided clinical care for 850 to 1,000 patients annually while teaching and mentoring medical students, neurology residents, medical subspecialty fellows, and speech-language pathology post-doctoral fellows. In the outpatient clinical setting, he diagnosed aphasia, dysarthria, and non-aphasic cognitive-communication deficits associated with stroke, traumatic brain injury, and medical crises with associated speech and language difficulties. His daily practice in identifying and localizing speech abnormalities provided important insight into the neurologic underpinnings of the associated motor speech disorder and treatment implications, fostering widespread appreciation for the value and expertise of speech-language pathologists by neurologists and within the broader medical community. Duffy's lifetime of service has led to extraordinary improvements in the administration of clinical service, enhanced the quality of care, and accelerated clinical research. Jon Miller is honored for over five decades of leadership in clinical research, service, supervision and administration. His early and ongoing concerns for individuals with severe disabilities informed his pursuit of excellence. Dr. Miller's innovative work to develop the Systematic Analysis of Language Transcripts (SALT), a computer-based coding system to analyze language samples, has transformed the work of clinicians to accurately and efficiently code details of children's language. This tool revolutionized a laborious manual practice that had not previously been imaginable, and he has continued to enhance the software to ensure it remains user-friendly and practicable. His visionary work contributed worldwide to increased awareness for analyzing non-native English speakers' language, with the framework adapted to yield valid, reliable, and culturally sensitive methods. With support from the University of Wisconsin-Madison and the National Institutes of Health in 1979, Dr. Miller implemented the Symposium on Research in Child Language Disorders (SRCLD) to address issues concerning child language disorders. SRCLD continues to be a national model of how clinical-research collaborations can improve clinical decision-making. His lifetime contributions have altered the course of science and practice, substantially increasing availability of effective services for individuals with disabilities. Catherine (Katie) Gottfred is honored for more than 30 years of dedication and significant contributions to promote effective communication for children through advocacy, research, and leadership. She is well known for founding the nonprofit organization Language Empowers All People (LEAP) to advance language, literacy, and social development for children in low-resource classrooms in inner-city Chicago. In an effort to have a wider impact and to reach more students, she developed a partnership between LEAP and Chicago schools to train teachers and parents working with students. The organization's programs provide support to families and educators throughout the social development process and provide services to allow youth to access higher education and job training, impacting tens of thousands of at-risk students and teachers in the city. Children at the highest risk for poverty and unemployment have been transformed by this program which has ultimately enriched the learning so pivotal to communication and literacy skills, and to life success. Betty McMicken is honored for more than 40 years of contributions to clinical service and clinical education in medical speech-language pathology. She initiated a model early in her career for services with stroke patients in Orange County’s acute hospitals, resulting in 30 hospital-based departments with standards that were eventually adapted statewide and in national centers. Prominent is her lifetime effort to establish and staff volunteer speech-language pathology clinical service delivery models. A committed humanitarian, she worked tirelessly to establish these services, at a time when none were available, at the American Cancer Society for Laryngectomees and for the homeless at the Los Angeles Mission/Ann Douglas Center. These contributions, combined with her ongoing initiatives in research, teaching, and training, have substantially enhanced knowledge and practice for patients, students, peers, and the discipline. Robert Fifer is honored for contributions to clinical service, research, and teaching that span his first work in military settings to his lifetime efforts with the pediatric population. With clinical interests in auditory evoked potentials, central auditory processing, and auditory anatomy and physiology, he has focused on early detection of hearing loss in children. 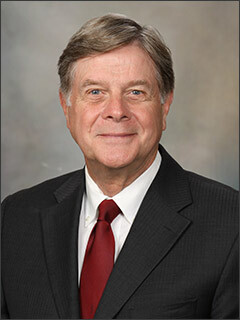 He played a guiding role on the Center for Disease Control's workgroup to establish the Early Hearing Detection and Intervention – Pediatric Audiology Links to Services, a web-based link to information, resources, and national directory of facilities that offer pediatric audiology services to children who are younger than five years of age. 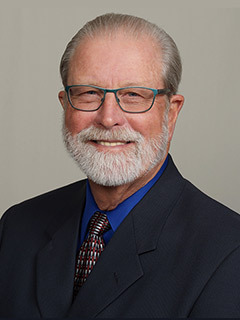 He has lectured extensively in South America and Asia, provided volunteer service to state and multiple national organizations, and has been a tireless advocate on the legislative and regulatory front to make the connection for the impact of health care economics on clinical practice. View Frank R. Kleffner Lifetime Clinical Career Award recipients before 2014 [PDF].